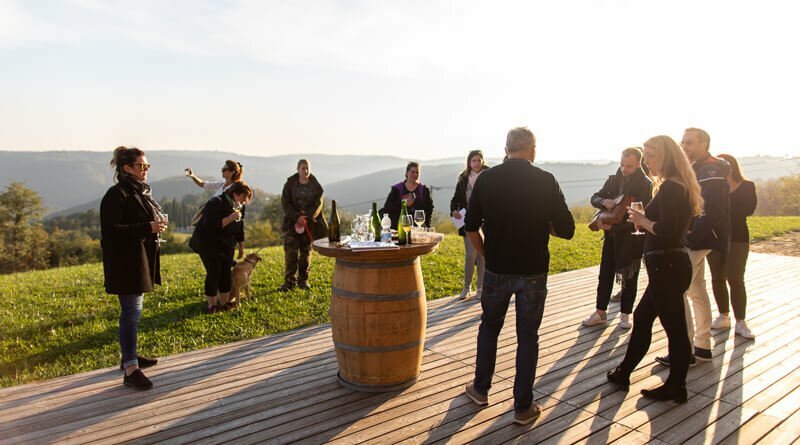 The three-day programme, was filled with extraordinary experiences, intertwined with many culturally inspired activities and venues, that can be provided during the stay to enrich every trip to beautiful Slovenia. The agents had a chance to explore Ljubljana – the most green capital in Europe and magnificent Lake Bled – including a traditional wooden ‘’pletna’’ boat visit to a special little island in the middle of the lake. They had a very unique experience at Lipica Stud farm, where they enjoyed, not just the visit, but also a carriage ride by Lipizzaner horses, ending in an open air rustic picnic lunch, as a perfect conclusion of the day. The group had a special self-drive vintage car’s transfer to a family winery. It is situated in beautiful environment over viewing the vineyards. The educational trip continued towards the Slovenian Coast, to Piran, a little city jewel that will leave you breathless. This culturally protected town, is inspiring with its Venetian history and historical buildings. 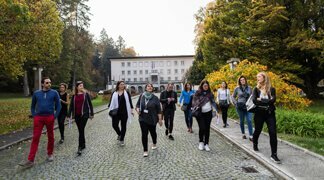 The last day was reserved for the highlight of the educational trip, to the most visited caves in Europe – the Postojna Caves, where a special organised private visit was prepared for them, including a musical performance and cocktail reception in the cave’s Concert Hall. 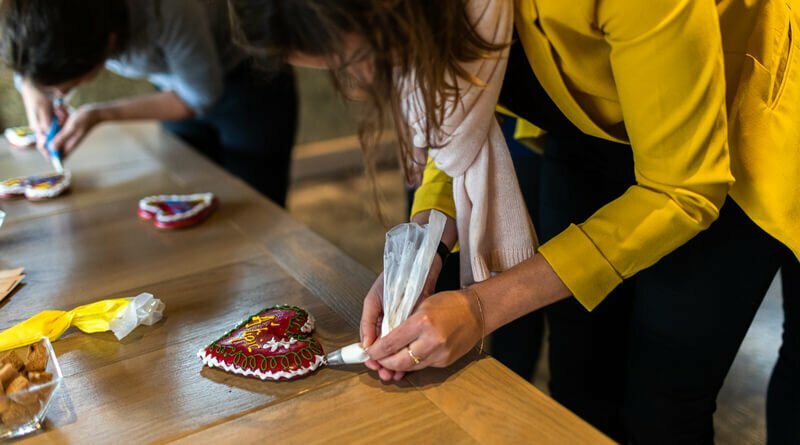 At the end of their trip, they were invited to a Gingerbread Hearts workshop – which is one a kind souvenir from Slovenia and is a great team building experience for creating your own little gift. Slovenia offers unique products and services for incentives that are operated by local DT suppliers. DT Slovenia has a French speaking experienced staff, always glad to assist requests from France and offer the best programs. The French representatives left Slovenia, full of new knowledge & destinations, inspired to offer these adventures to their clients. This can be a full or half day activity, with different entertaining stops on the way. For those, who wish to drive themsleves, there are also self-drive options. DT Slovenia can also arrange other Educational trips or similar activities depending on your requirements. Share this with your colleges and friends. 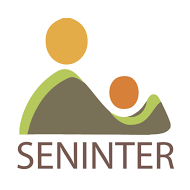 For more, please contact us.